Learn how text messaging can enhance diabetes self-management and care. Arshiya Baig, MD, MPH, is currently an Associate Director of the Chicago Center for Diabetes Research and Translation. She shares her experience using a text messaging program in a community health center. Q: How have you tried to harness technology to enhance diabetes self-management and care? A: Most of diabetes self-management happens at home or at work, so it’s important to find ways to support people who have diabetes in their day-to-day life. Because of the abundant use of mobile phones, health care providers need to harness this technology to enhance care. Our experience has been specifically with community health center (CHC) patients, who are often in low-income, lower resourced communities. Many racial and ethnic minority patients have higher rates of having a mobile phone than their white counterparts and we’ve learned that our patients love this kind of interaction. Text messaging allows them to receive health tips and reminders about things that they should or could be doing, such as taking their medications, checking their blood sugar, or checking their feet. Text messaging is a good way to remind, motivate, and support patients in their day-to-day life in between clinical visits. Q: What are some considerations for implementing or sustaining the use of a text messaging program? A: There are different options. Providers can design their own text messaging program and have a server push the text messages out to their patients. Our approach was to partner with a technology partner. A technology partner can be a university, business, or nonprofit organization. They have the platform; the technology, and we received training. An important aspect to consider with a text messaging program is how to sustain patient engagement. You don’t want text messages to become a nuisance. We found that having a variety of text messages is very important. Not only were patients getting reminders about things they should consider doing, such as exercising or taking their medications, but we also sent quizzes. For example, a quiz might ask a patient, “Of these three foods, which has the highest sugar content?” The patient would then respond and if the answer is correct, he or she would get a response confirming, “Yes, you’re right, continue doing what you’re doing,” or “You’re doing the right thing.” If the patient’s answer is incorrect, the response might be, “Actually, this is the answer and this is why.” The back-and-forth is important. We also found that engagement with our text messaging program was high when coupled with diabetes group visits; higher than what our technology partner had seen for other patients. While text messaging alone may have its benefits, I think it needs to be paired with some sort of face-to-face interaction – be that a clinical encounter, a group encounter, a group visit, or group education. Q: How can health care providers incorporate the use of text messaging into their daily work flow? A: Text messaging programs can be modified to fit into your daily work flow. If a provider wants to send reminders to patients about upcoming clinical appointments or when they’re due for an A1C test or a flu shot, the text messaging program can automatically send those notices to patients. This can be helpful to the provider, especially in terms of trying to decrease no-show rates or increasing immunization rates. Text messaging can also be used to reinforce patient goals. For instance, if a patient tells you that they want to eat more fruits and vegetables every day, text messaging can be used to remind the patient that he or she set this goal at their last clinical visit. Text messaging can encourage them, remind them, and motivate them to meet their goal. It’s a great way to supplement what’s happening in the clinical encounter. Q: How can a text messaging program benefit health centers? A: While there are some up-front costs of implementing a diabetes text messaging program, there are potential benefits that may yield savings down the road. For example, sending automated reminders to patients about upcoming appointments may result in cost savings if you find that no-show rates go down and you are able to fill open appointment slots resulting from cancellations. Another potential benefit is showing improvements in patient outcomes. If you are managing a patient population at an FQHC, you can assess improvements such as what percentage of patients have an A1C above 9% through the Uniform Data System. If you can start showing improvements by adding a technology to supplement what you are already doing, there are potential benefits. Q: How can health centers determine the effectiveness of text messaging programs? A: Health centers can measure hard objectives, such as decreasing no-show rates or increasing immunization rates due to text message reminders. 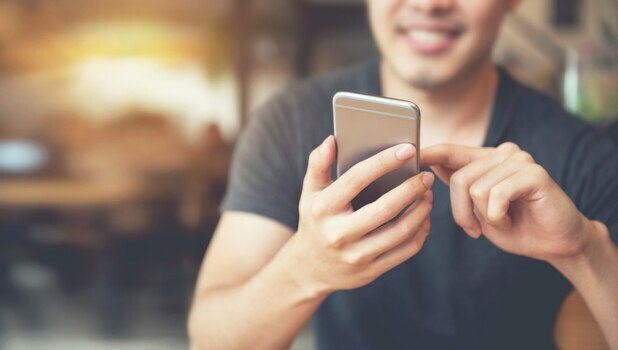 Because health care providers now have an increased focus on patient satisfaction, they can ask their patients whether they enjoy being contacted through text messaging between visits. If patients feel they’re getting useful information between visits, it may empower them to take more control of their diabetes and do more self-management at home. Have you had success (or failure) using technology to improve patient care? Tell us what you’ve learned. Arshiya Baig, MD, MPH is an Assistant Professor of Medicine in the Department of Medicine at the University of Chicago, and is currently an Associate Director of the Chicago Center for Diabetes Research and Translation. In 2005, she was selected as a Robert Wood Johnson Clinical Scholar at University of California – Los Angeles, where she dedicated much of her time to addressing health disparities and community health among Latino populations. During her fellowship, Dr. Baig was selected as a Fulbright Scholar in Colombia, where she spent six months conducting research and teaching seminars on community-based research.